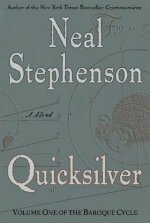 I’m still enjoying Quicksilver by Neal Stephenson, which is good because I’m on page 294. Only 622 pages left to go. I get a little lost, sometimes, in the 17th century English and European geopolitical intrigues. “He has enemies,” was all Roger would say. I’m glad you looked it up too, Joy, because I made the same assumption! But I should have known from the Latin roots that it meant to speak against- my 11th grade English teacher had me do a presentation on -loquy based on my talkative classroom habits. Thanks for clearing this up! Interesting word but I can see why it’s not used very often. Knowing the Latin roots certainly would have helped. I don’t think I’ve ever run across that word before. I had no idea what it meant. No idea either the meaning of your word, glad that you shared. An interesting discussion on obloquy, Joy. I wish I knew latin roots for words. It seems similar to figuring out a puzzle.